Reprint. Originally published: London: Hodder, 2017. 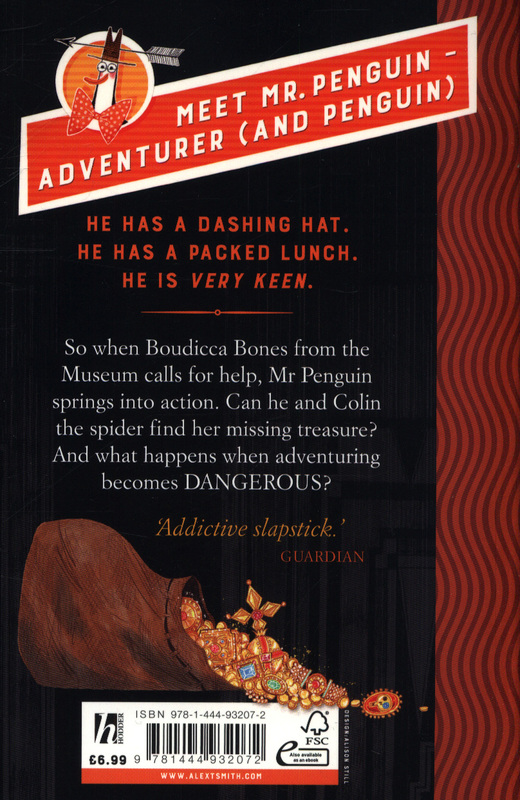 From the international bestselling creator of Claude, comes a brand new hero - Mr Penguin, adventurer and penguin. 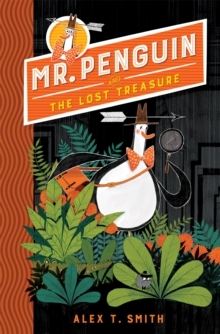 Indiana Jones meets Hercule Poirot in this new Alex T.
Smith series with plenty of slapstick humour, mystery and adventure. 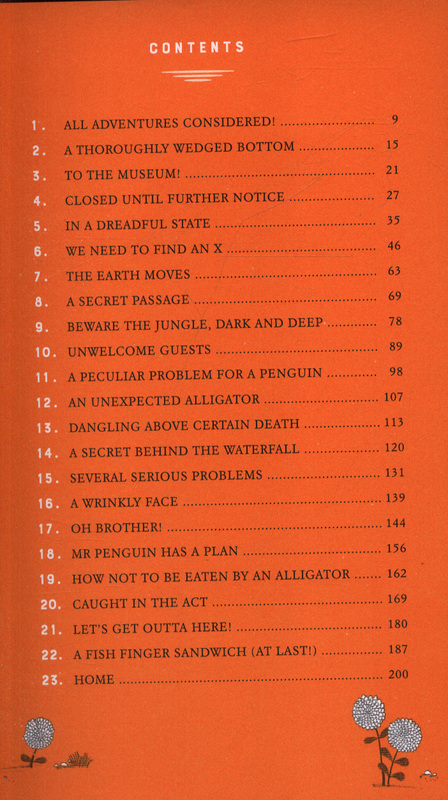 Highly illustrated throughout with a striking black and orange design. 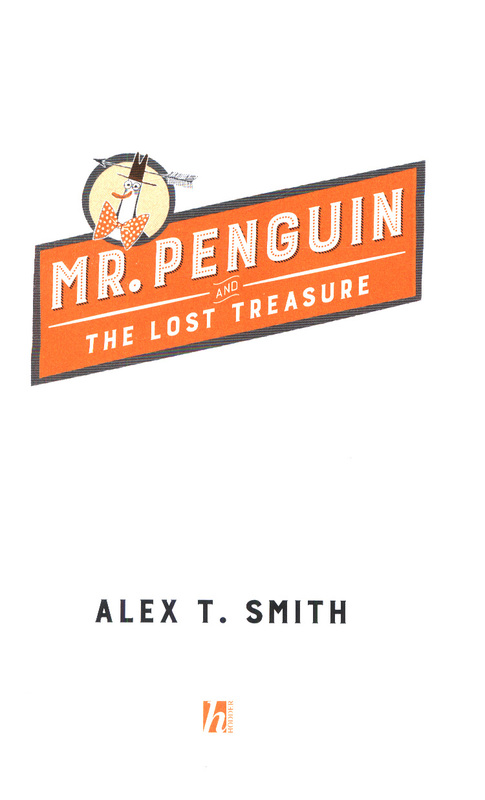 It has been weeks since Mr Penguin's last adventure and he's been stuck at his desk, twiddling his flippers ever since. 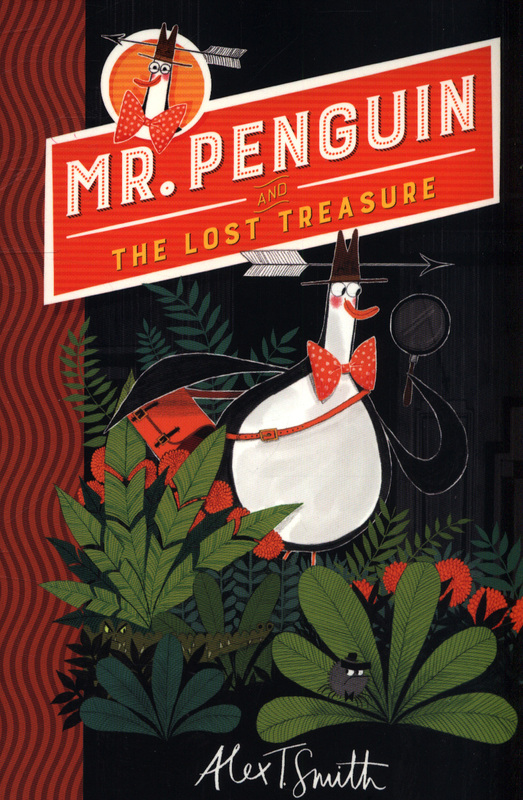 That is until the phone rings!Mr Penguin and Colin (a spider and Mr Penguin's silent right hand man) are called in to find the missing treasure somewhere in the Museum of Extraordinary Objects. The quest finds them solving secret codes, fighting ferocious beasts, eating fish finger sandwiches and travelling deep below the museum to a lost jungle... 'Addictive slapstick' - The Guardian'The perfect introduction to mystery stories' - The ScotsmanClaude won the 5-9 young fiction Sainsbury's Children's Book Award, was selected for the Waterstone's Children's Book Prize, the Richard and Judy Book Club and is soon to be a TV star on Disney Junior with 52 episodes airing in June 2018.